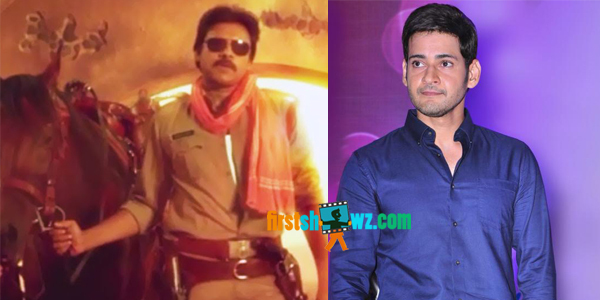 Mahesh Babu's Brahmotsavam and Pawan Kalyan’s Sardaar Gabbar Singh are much awaited films of the year, and both these movies are doing stunning pre-release business surpassing each other in several territories. We have earlier informed to our viewers that the overseas rights of Sardaar Gabbar Singh have been sold out for a whopping Rs 10.5 Crore setting a record among Power Star’s movies. But the number has been surpassed by Mahesh Babu starrer Brahmotsavam which has set a new record price of whopping Rs 13 Crores. With Mahesh Babu’s previous outing Srimanthudu doing an outstanding business in overseas, PVP Prasad, producer of Brahmotsavam cashed on Super Star’s craze and sold the theatrical rights for record price. This Srikanth Addala directorial featuring Samantha, Kajal and Pranitha Subhash is slated for May release.